Admitting that I am obsessed with capes is probably still an understatement. 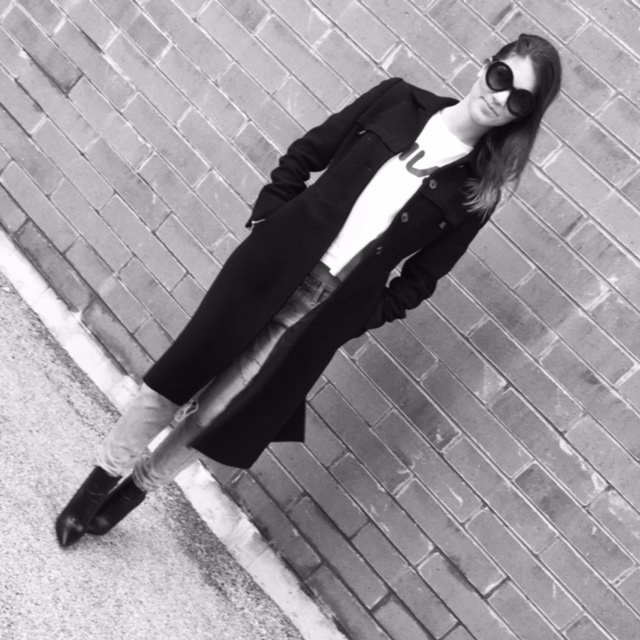 I have a black wool cape that I wear all winter long and absolutely love it. 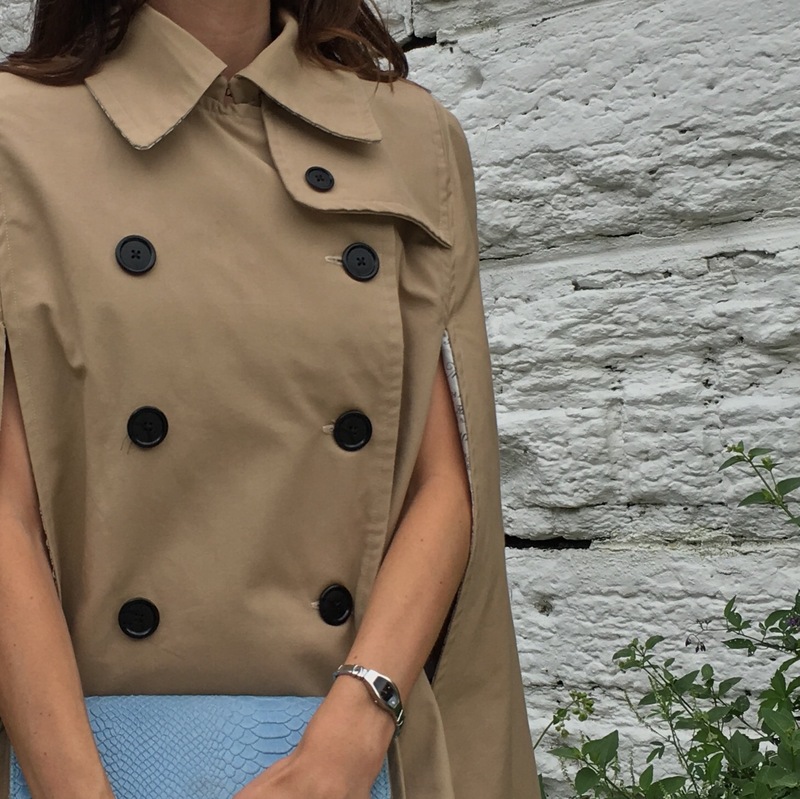 As I started to look around for a trench style cape, I realized that they were hard to come by. Burberry had a nice version, but it was short, single-breasted, and …not exactly what I was looking for. Not to be discouraged, I decided I would just make my own! I signed up for a sewing class mid-January and since there wasn’t a cape-making class (What?!) I first tackled a skirt and then a dress as part of the group. After that I jumped into the advanced group so that I could work on my own projects…enter cape! I made it exactly how I wanted: I picked the fabric, chose the length, made it double-breasted, put a gun-flap in front, and a flap in back. It took a lot of hours, but I’m thrilled with the outcome. I think it will get a ton of use…once the weather gets a little cooler:-). There are a few things I’ll change as I go to make the next cape, but overall I’m really excited about this one.